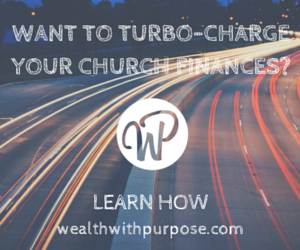 The topic of debt and money management has been argued a lot at church and in the workplace, taught in seminars, and discussed in countless conversations with friends and family. People wonder how to get out of business and personal debt, how to manage finances so as not to fall into another debt, what the Bible teaches about handling money, how to save, how much to save… a seemingly endless domino of questions. But what many people do not realize is that God’s principles regarding money are quite simple and very practical—if only Christians are willing to abide by His words. Below are a few essential verses in the Bible that if followed will surely keep you out of debt! Did you just hit rock bottom? Is your business on the brink of bankruptcy? Trust God. 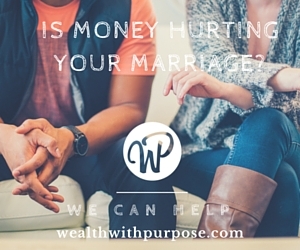 Don’t resort to borrowing money every time you are faced with a seemingly hopeless situation. Wait. Allow God to move and watch Him provide for your needs. Remember, your business is a partnership with God, so don’t manage it on your own. Be content with starting small. All big businesses today have their humble beginnings—think Apple, Facebook, Microsoft. Most of the time, we complain, covet, and end up in debt simply because we want more than what we have and can manage. If your modest business provides food to eat, clothing on your back, and a roof on you head, be content. This principle should not be confused with not growing your business. You should! But you need to prioritize your needs rather than your wants. God promised to give us “our daily bread”—so live a content lifestyle and be grateful with what you have. This one may be the shortest and most practical advice—work hard. If you sit at home all day expecting your business to make huge profits, that’s not going to happen. If your business is not earning as much as you expected, find out which area you can improve on. Keep working hard and learning new ways to do things. Stop dwelling on your problems. Get-up and do something. Daily planning is essential to your business success. Be wise in budgeting and spending your hard earned money. In business, every penny counts, so plan your purchases; this will allow you to save more. Sit down and list down your monthly expenses, set aside the corresponding amount for each payable, and then stash a portion of your earnings as savings. Proper accounting DOES work. You’ve heard it said that “giving is not the condition of the pocket but a condition of the heart.” Though you face financial difficulties do not be tightfisted to those who need your help for God loves a cheerful giver. If you have set out to help someone, do it. And let God bless you in His time.